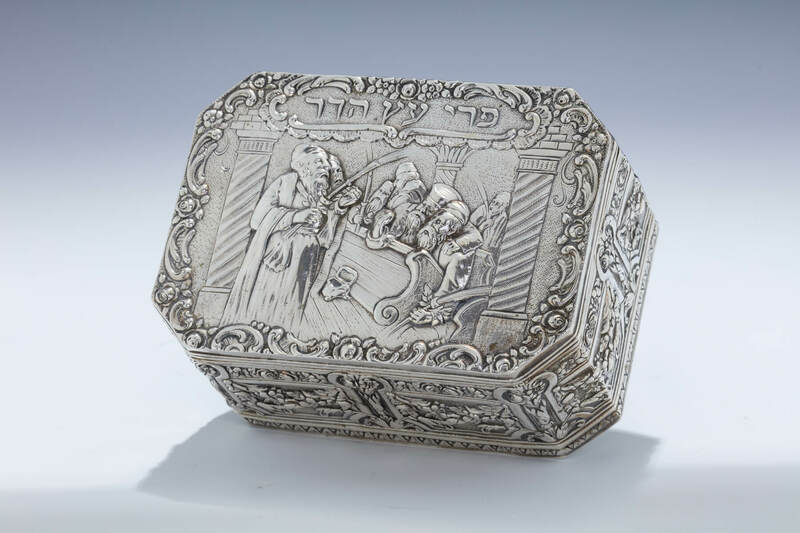 A LARGE AND IMPORTANT SILVER ETROG HOLDER. Germany, c. 1890. Rectangular in shape. The sides decorated with floral and swag designs. Top cover embossed with synagogue scene from the holiday of Succoth. 5.6” x 4” x 2.6”.